Handsome Tours, Astral People & Complex, by arrangement with Primary Talent, are excited to announce the debut Australian & New Zealand tour of Rejjie Snow (300 Entertainment / Brace Face) – the Irish rapper that is paving the way for himself. Rejjie Snow will be joined by local artist Arno Faraji at all Australian shows. Fresh from the release of his debut album Dear Annie, which sees Rejjie collaborate with Aminé, Kaytranada, Anna of the North, Cam O’bi (Chance The Rapper, SZA, Vic Mensa) & Rahki (Kendrick Lamar, Ab-Soul, Eminem), Snow is set to bring his live show to Sydney, Melbourne, Brisbane, Perth, Wellington & Auckland for the very first time this June. 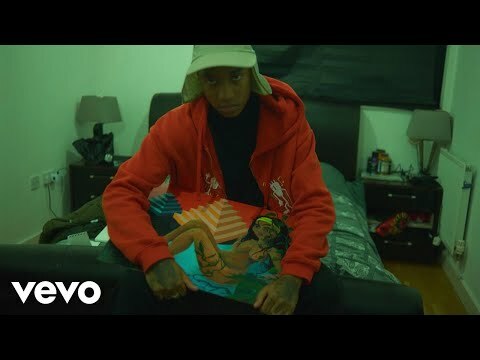 Making albums in the middle of making other albums, Rejjie’s relentless ability to create saw him drop a full-length mixtape just 8 months before his LP: 2017’s The Moon & You, an experimental beast of a different stripe that, despite a Joey Bada$$ cameo, puts him more squarely in the camp of genre-less auteurs like Shabazz Palaces, Anderson Paak, and Thundercat. It is safe to say, though, that his highly anticipated debut album Dear Annie, released in February this year, is the crown jewel amongst a kingdom of gold. Written and recorded across Los Angeles, London and Paris, it’s a genre-spanning magnum opus of 20 tracks from the wise-beyond-his-years 24-year old. In his own bold and idiosyncratic manner, Rejjie croons and rhymes equally while inviting you to embark on a journey to the surreal depths of his soul. Don’t miss your chance to see Rejjie live in Australia & New Zealand for the very first time this June.